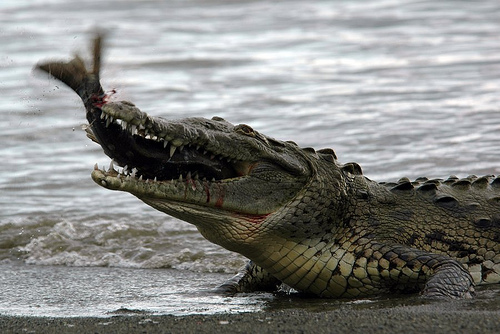 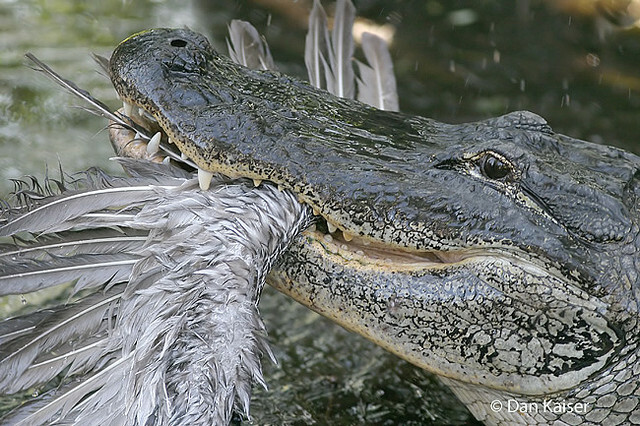 Crocodiles don't need to spend all day lying in wait for baby elephants to get them selves a feed - all they have do is swim around the river catching fish. 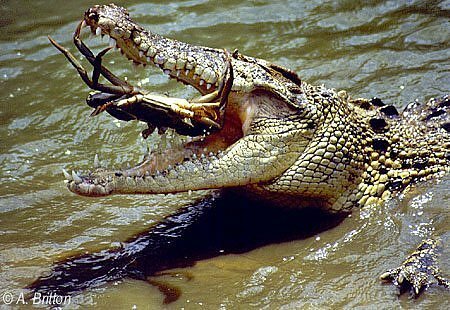 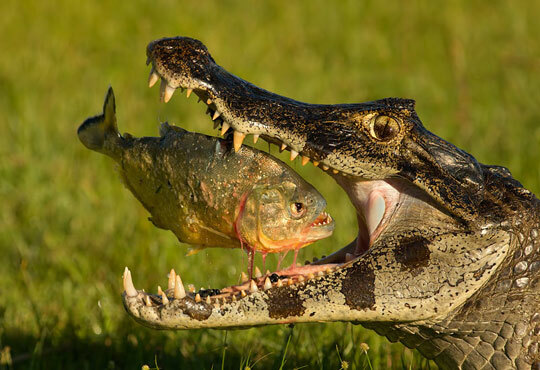 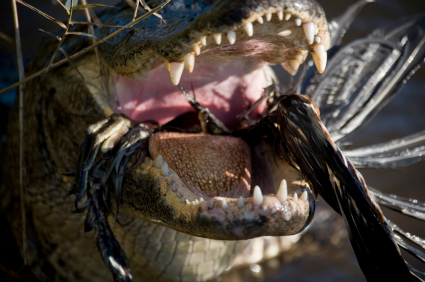 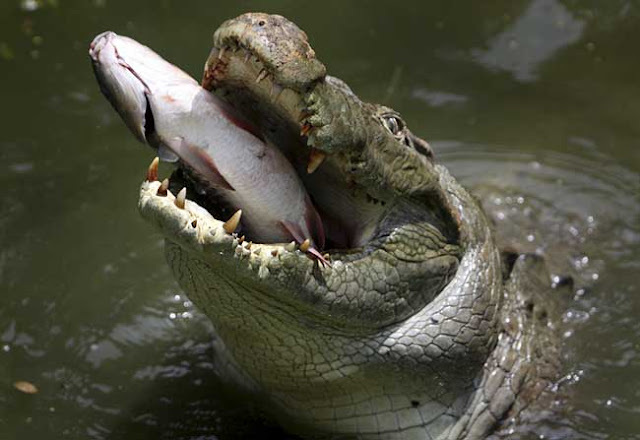 Fish are a good source of protein so it's natural for a crocodile to want to lock his jaws on a tasty morsel of piranha or shark! 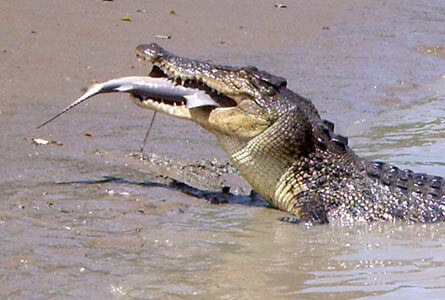 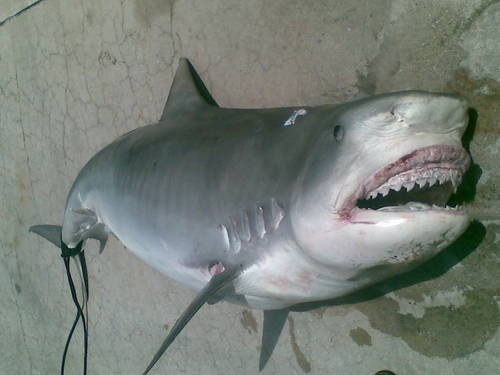 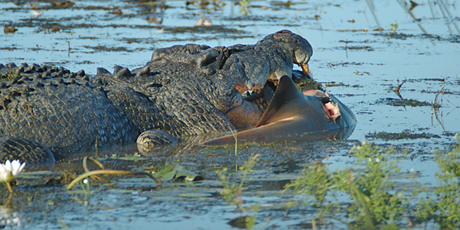 Here's a crocodile that's caught a shark and has chosen to eat it on the side of the muddy river bank.